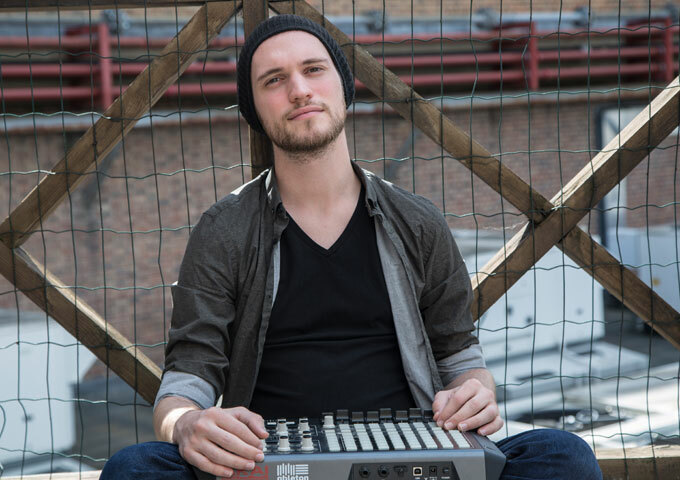 London-based French music and video producer, Charly Sauret aka Woochia, is influenced by artists such as Tool, Heretik and Beethoven, which is a fairly good indication of the vast creative spectrum his music is composed within. 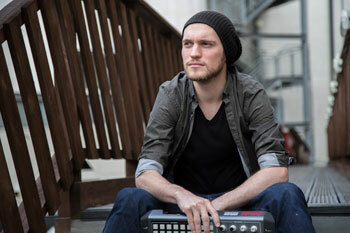 Expect also, to find a wide variety of blended sounds to accompany his arrangements – like the tones of acoustic instruments (guitars or didgeridoo) with tones usually used for meditation (singing bowls, different types of throat singing) mixed with driving percussion and pumping synth bass lines, to deliver what is described as soft and melodic techno music. A former student of Musicology at the University of Evry, and 10 years of composing computer music behind him, Woochia has worked with artists such as, Richard “Kory” Rivereau (Beyond the Dust, Rise) and Ebde (Ebde, Otter and Snake). His latest release, is the 6 track EP entitled “Travels”. 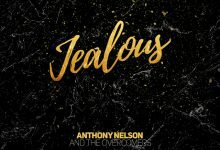 The recording instantly feels like a quintessential, well-crafted eclectic concoction, every bit as vital and masterfully mottled as his previously released genre-bridging output to date. Briefly running through his catalog, I find “Travels” to be Woochia’s most cohesive offering to date. According to Woochia, all the tracks on this EP were composed or conceived in trains, buses and coaches while travelling between and around London and Paris. “These songs capture the feeling of being on the road, following the drift of the mind in its own imagination while the landscapes go by, behind the window,” he explains. For Woochia, a carefully-wielded air of familiarity – be it tempted via a balmy bass swell or a picked acoustic guitar pattern – can fare as potent as the fiercest sonic progression. Guided by his own production – “Travels” finds Woochia not simply hitting the sweet spot between referencing his past experiences whilst keeping two eyes on the horizon, but conquering it. From the likes of the mid-tempo, melodic-conjuring of “Bus” and the acoustic guitar and percussive thrust of “Train”, to the rhythmic and haunting “Soil” and the brooding “Tunnel”, as well as the highlight “Ritual Walking” – a cinematic instrumental, where a thickly layered brass and string backdrop supports playful guitars and a hand-clap beat. 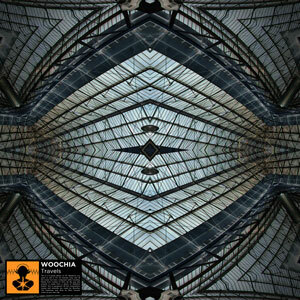 Expanding upon the blueprints of his instrumental craft, there are some real seismic peaks in Woochia’s approach here that seals the deal, as he excavates acquainted territory to reveal real forward motion and a slew of new-fangled ideas. The subtle impetus and melody that drives “Flow” forth is tangible. Woochia’s acoustic and synth-drenched set-ups make for an unusual combination, one that delivers alluring, subtle melodies and rich atmospheric textures. It’s electronic rendered in an unusually accessible and articulate way. There’s enough energy and ingenuity to hold interest throughout, alongside Woochia’s ability to gently shift tones and textures while allowing them to coalesce lucidly. In “Travels”, the artist displays a development in sound and execution that proves his vistas and stealth are as captivating as his desire to keep exploring new sounds and possibilities. Certainly, Woochia is happy to mix the colors from the wide palette he is holding. It will also enable this London-based Frenchman to build a respectable reputation over the years, one best appreciated by those who tend to admire ambition and experimentation.